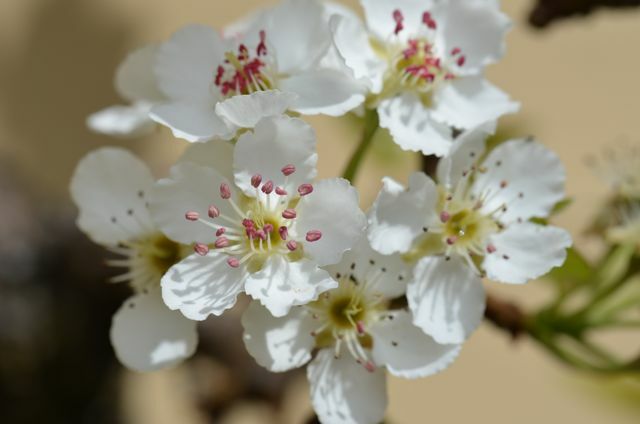 This is one of our pear trees in bloom. It is over 70 years old and is espailiered on a south-facing part of the house. 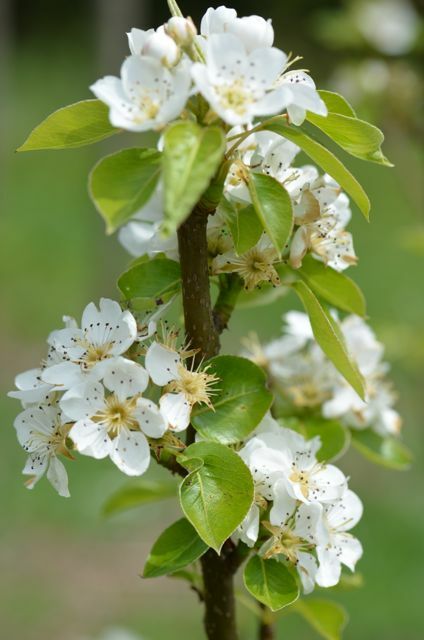 It is an incredibly productive pear tree, but ironically, we are unsure what variety of pear it is, maybe a Wilder Early. Such is life, the pears are good. Perhaps this year we will make preserves. 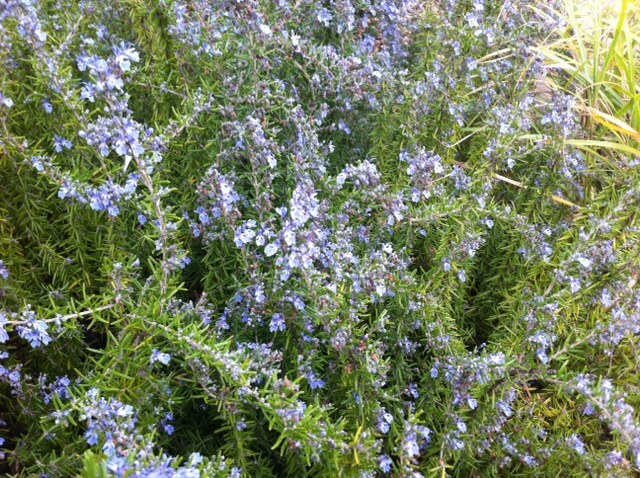 These are rosemary blossoms. Along with our lavender, we grow these as ornamentals and for cooking. We will never run out of rosemary, but we love the color, so more is better. 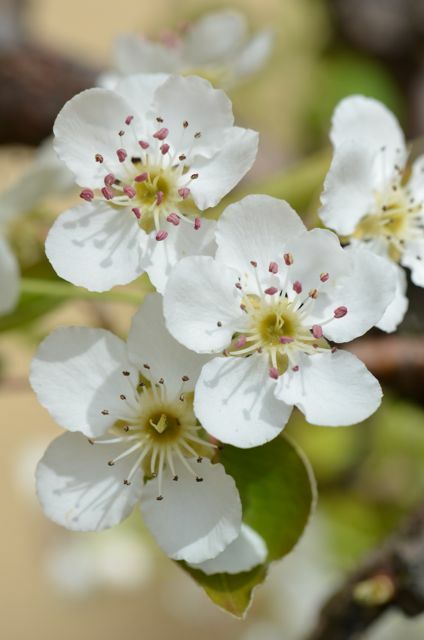 This is one of our newest tress, a Comice pear. Probably another year before any real fruit from this tree. 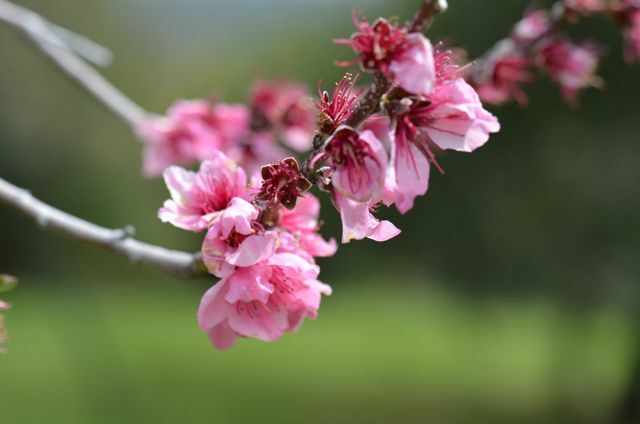 Peach blossom (hybrid tree) #1. 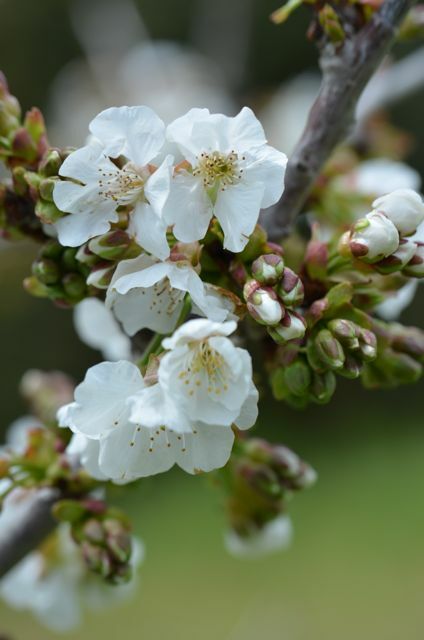 Peach blossom (hybrid tree) #2. 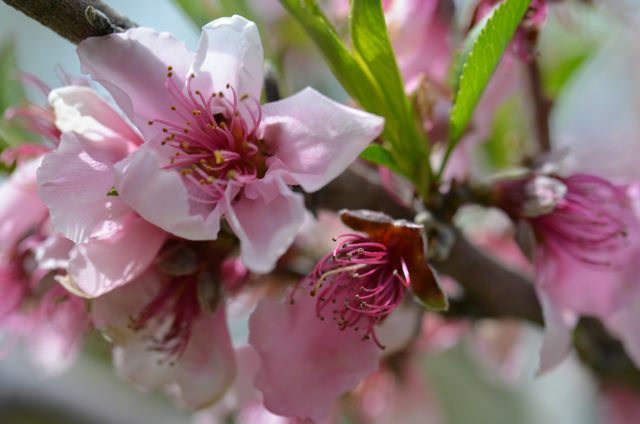 These are peach blossoms. The trees are grafted hybrids that will yield a few varieties. We will have Frost, Indian Free, Muir and Red Haven peaches from these trees. They are staring to provide some real fruit, but we have to battle wood rats (yes, wood rats) to be sure they don’t take them all. We love peaches and do not like wood rats. Wood rats get “dispatched” with prejudice around here. 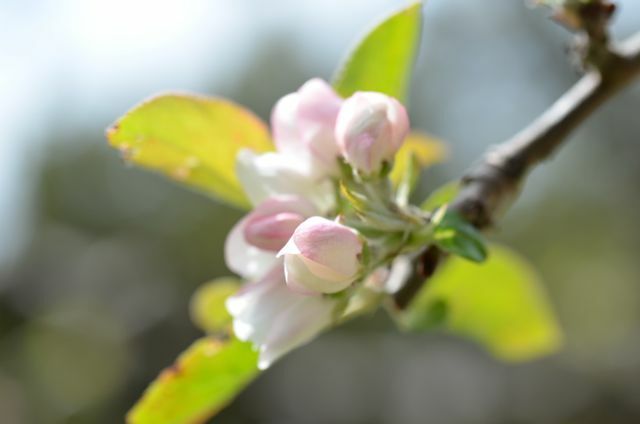 Such are the realities of the orchard and garden. 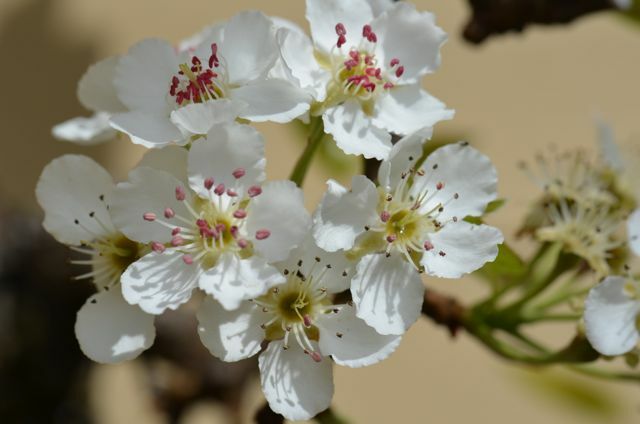 Here are some cherry blossoms. 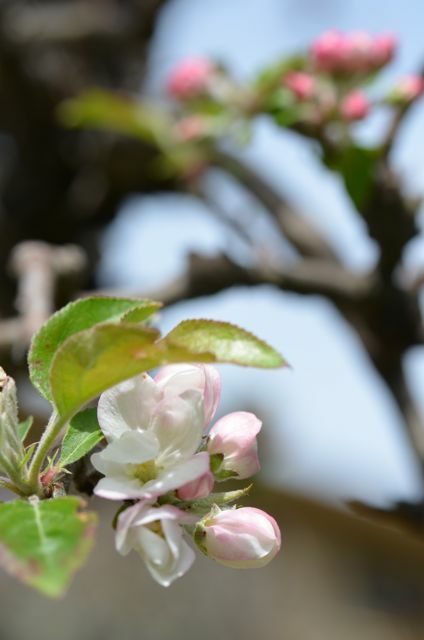 We have Bing, Black Tartarian and Van varieties in the orchard. Last year we got a little taste of the cherries, and they were great. We are hoping for a breakout year. 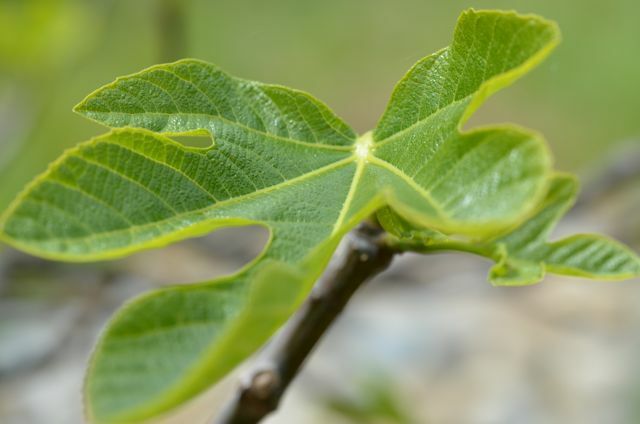 This is our new Mission Fig tree. Our last fig tree was killed by Gophers who ate so much of the roots, the tree literally fell over dead (argh). Gophers are not cute. They are stone-cold killers of produce, and they also get “relocated”, without remorse, on a regular basis. 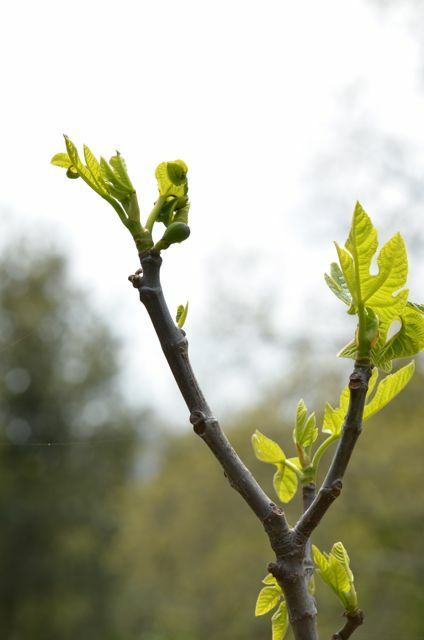 This new tree is more mature and we are very excited that it is already showing new growth and fruit. Fresh figs are a delight on the grill, with blue cheese or charcuterie. We can’t wait for these. 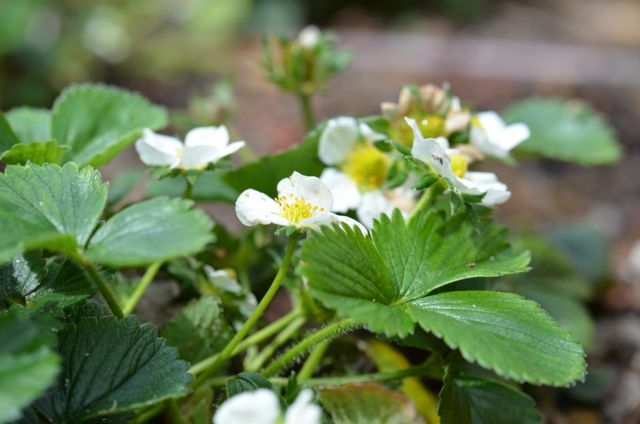 These are strawberry blossoms and early fruit. We have a large bed with a Seascape and Albion varieties that will fruit from late March until early November. A lot of strawberries are grown commercially in this region, the climate and soil are a perfect fit. 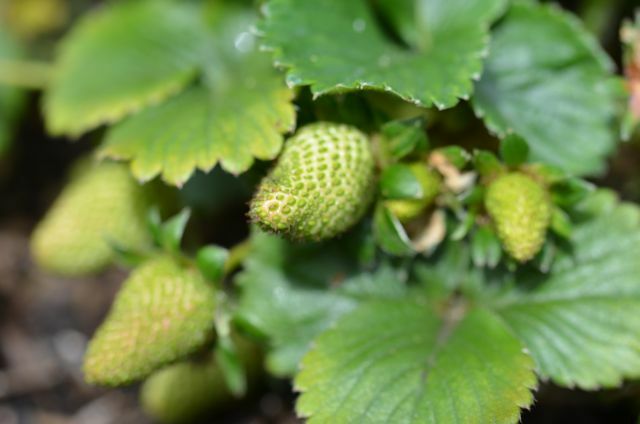 Starting in a week or two, we will have fresh strawberries every day. Picking them in the morning (along with Blueberries) is an “instant Zen” kind of moment. Blueberry blossom, early berries and a busy bee. 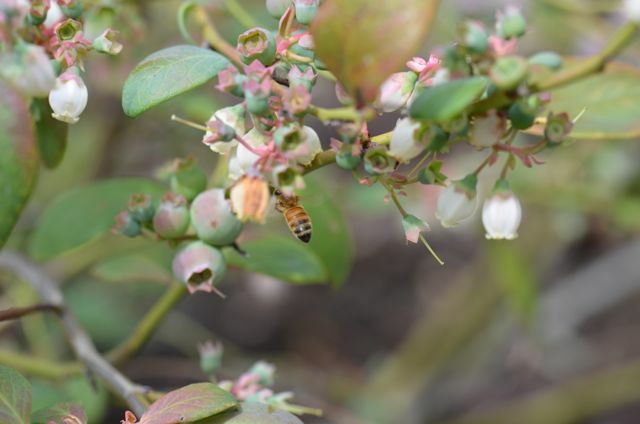 Finally, we leave you with blueberry blossoms, blueberries and the bees (hopefully from our hives) that are working them. We have six bushes and four of them are very, very productive. The blueberries will stay with us until we get a serious hot stretch. Last year was cool, and the blueberries lasted through July. The late-season berries were incredibly sweet and we ate them like candy. Usually the blueberries will last into June. Life is such a blessing and we are very, very grateful to experience such beauty. 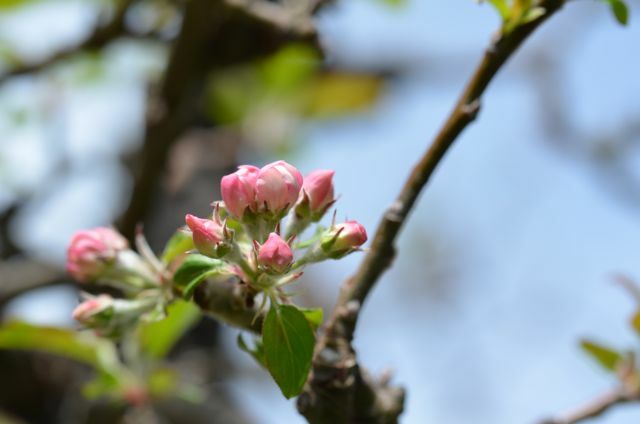 We hope you enjoy the photos, we will update them as new blossoms and fruit arrive. Happy to find you through freshly pressed (congrats). You are quite a bit ahead of us in here in CT in terms of season and I’m feeling jealous! Thanks for the comment. I lived in CT for quite a while. You start later, but will still get better tomatoes than us. Something about the east coast summer tomatoes just makes them better.